The Colorado Derby Lofts are conveniently located in the heart of downtown Wichita near the vibrant Delano District and the revitalized Old Town. The nine-story building is on the Register of Historic Kansas Places and is seeing new life as the latest in urban living. Each apartment home features stainless steel appliances, granite countertops, wood-inspired floors and spectacular ribbon windows with breathtaking views of downtown. Residents also enjoy a rooftop reflection pool, grilling pavilion and rooftop lounge complete with firepit and flat screen TV. Whether you are hosting friends to a day of swimming and grilling or just taking some time to relax, be sure to take in the rooftop view of a stunning Kansas sunset. 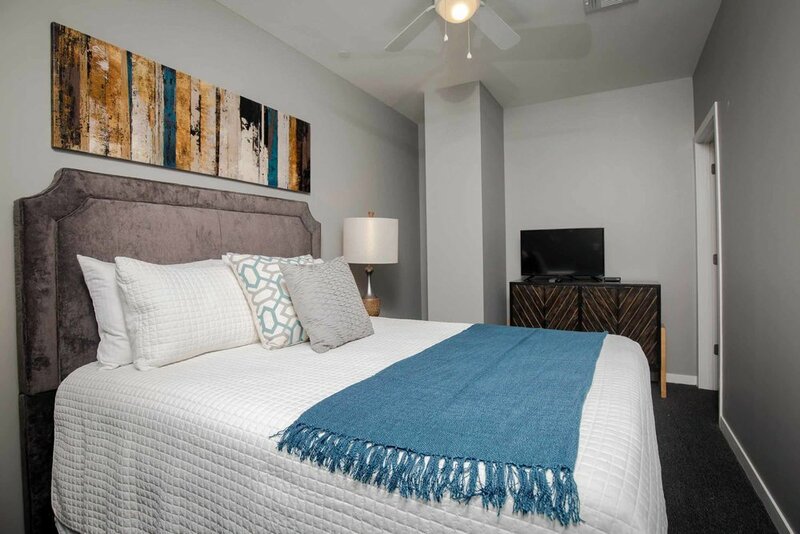 If you are looking for corporate housing that provides comfort, convenience and modern amenities, the Colorado Derby Lofts in Wichita is the perfect choice. Located at Water and 1st Street, the Colorado Derby Lofts are minutes from fine dining at AVI Seabar & Chophouse or the Siena Tuscan Steakhouse, and close to the Delano District with its locally owned-boutiques and restaurants. These stylish apartment homes are also near the Century II Performing Arts & Convention Center, the historic Orpheum Theatre, Old Town and Riverside Park area, making this a convenient and bustling location.